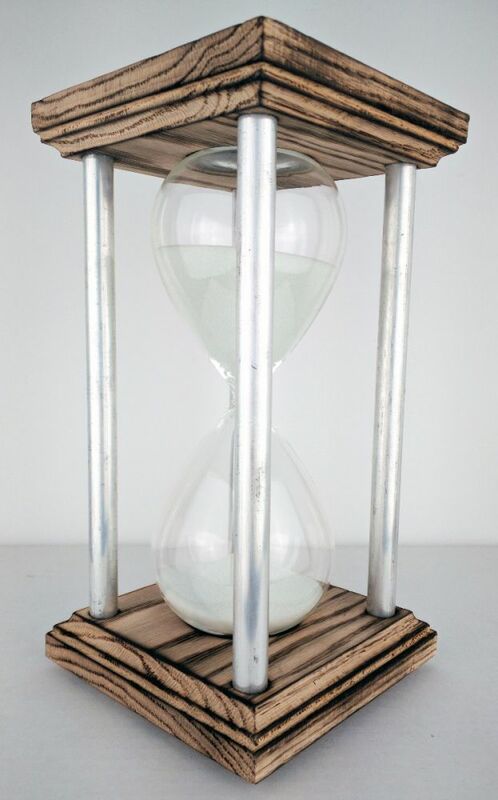 This 60 minute hourglass is made from solid oak with a burned finish and aluminum spindles. Made and designed in the United States and is covered by a mfg two year warranty. Accurate to within 5 min per hour. Each hourglass is unique and can be treasured for a lifetime. 9.75 inches h.